Wednesday afternoon the Canadian Embassy in Washington hosted a renewable energy and energy efficiency showcase and reception. 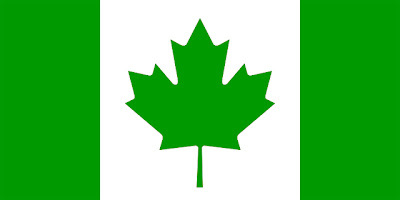 Innovative Canadian companies were on hand to display their latest technological breakthroughs and there were some noteworthy innovations that will hopefully soon start to take off on this side of the border. 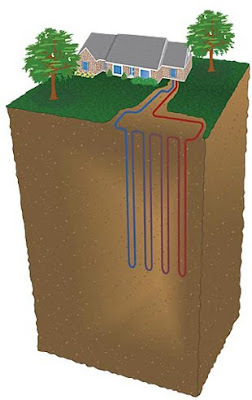 Perhaps the most promising for reducing our dependence on fossil fuels is the home geothermal unit from NextEnergy. While geothermal technology has been around since the 1950s, it is only in the last 15 years that it has become more efficient. Installing a unit in your home can provide you with peak efficiency all the time for heating during the winter and cooling during the summer. The reason is because the pipes go down anywhere from six feet to a thousand feet (depending on if it's a vertical, horizontal or pond loop) into the earth where the temperature is a constant 50 to 60 degrees. And there is only a six inch hole in the ground so no more big, noisy and wasteful air conditioning units. And the carbon footprint of geothermal is incredibly low. A typical home using geothermal saves between 2 to 5.5 tons of CO2 per year. And the long-term financial savings are tremendous as well. The upfront cost for the unit and drilling averages around $20,000, minus any federal and state incentives that in some U.S. states can trim 25-30% off the initial cost. But here is where it gets good -- the upfront cost is all you have to pay for geothermal energy. For the next 40 to 60 years you will be getting free renewable energy from the earth to heat and cool your home that is always operating at peak efficiency and helping to fight global warming and our addiction to fossil fuels. SunProject makes see-through sun screen shades to make buildings more energy efficient. They worked on providing exterior shades for the Vancouver Olympic Village Project. They also make recycled stainless steel railing systems. The Power-Pipe recovers hot drain water energy to lower water heating costs by up to 35% and reduce your home's greenhouse gas emissions by up to one ton per year. The Power Panel is a next generation solar panel that combines heat and electricity. The panel captures around 80% of the sun's energy versus 5-18% for a traditional PV panel and supplies both electricity and heat from the same panel. Power Panel is the first-to-market solar panel that provides both photovoltaic electricity and thermal energy. Delta makes sustainable home drainage and water retention products to maximize efficiency such as waterproofing membranes, drain boards, rainscreens, breathable roofs and garden roof systems.